Nashotah lets you enjoy the closeness of nearby Milwaukee and Waukesha, as well as the tranquility of a small town. With a population of just 1,395, Nashotah is the perfect place to retire, or to raise a family. The short commute to the cities makes it a great place for working professionals as well. The village of Nashotah is home to Wisconsin’s oldest restaurant, The Red Circle Inn, as well as the nearby Nashotah Lakes, from which the village took its name. Nashotah also has a local park, which includes a playground for children. 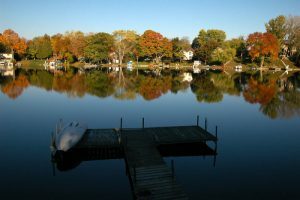 Nashotah offers a variety of homes to fit your budget, including lakefront properties. Have a look at the available homes below and give our NextHome Lake Country real estate agents a call to arrange a showing of one of Nashotah’s beautiful homes!